Donald Trump’s administration has touted big plans for NASA in the past few months, but it hasn’t been willing to put up much cash. So the White House has come up with a way to stretch the space agency’s budget further: Forwarding the bills for the International Space Station to, like, anyone else. Per budget documents seen by the Verge, at least one draft budget proposal from the White House proposes terminating U.S. financial support for the ISS by the year 2025—potentially leaving NASA astronauts grounded here on our own crappy planet until the agency comes up with a way to get them somewhere else. Sources told the Verge cutting loose the ISS is likely to be in the final version of the budget request due February 12th. 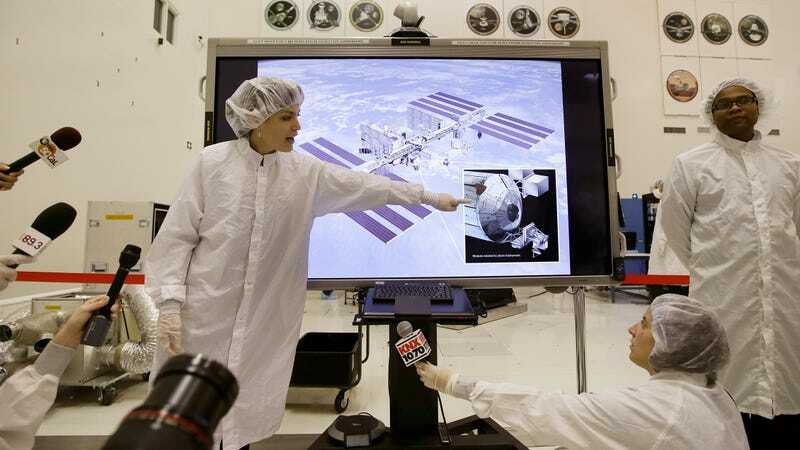 The U.S. is committed to providing $3-4 billion funding towards the ISS through the year 2024. But slashing the funds could cause other countries which currently participate in the program to direct their own space programs elsewhere before the end of the station’s anticipated end of life in 2028, when the amount of thermal and mechanical stress it has endured over its lifetime will likely render it nonoperational. Trump signed an act last year that compelled the agency to come up with alternative ways to fund ISS operations, as well as another directing the agency to prepare for a return to the Moon as a sort of test run for Mars. The latter option requires freeing up funding, some of which could come from a U.S. withdrawal from the ISS. Yet as the Verge noted, ending support too early could lead to “a gap of human activities in lower Earth orbit,” with fewer opportunities to train astronauts, test new systems, and carry out research on long-term human survival in space. Commercial spaceflight companies don’t want to see the station lose funding too soon, because they could then lose access to one of their primary test sites. Those more ambitious programs like a moon base or sending humans to Mars would also require resources far more extensive than would be freed up by simply discontinuing NASA’s ISS funding, and are unlikely to materialize in the form of government funding in the current political climate. Trump’s administration has yet to really articulate a plan for NASA to get back to the Moon or what will be accomplished there, and shifting around existing funding can only do so much at a time when he’s proposed cutting the agency’s overall budget.